Το facebook μολις γνωστοποιησε το κιγκλιδωμα τις τιμης για τους συδρομητες:$9,99 για τους χρυσους συνδρομητες καθε μηνα,$6,99 για τους ασημενιους συνδρομητες καθε μηνα,$3,99 για τους χαλκινους συνδρομητες καθε μηνα.Δωρεαν αν το αντιγραψεις και το διμοσιευσεις πριν τα μεσανυχτα!Οταν αυριο το πρωι θα συνδεθεις θα παρακινηθεις για τις πληροφοριες πληρωμων…Ειναι επισημο γιατι ηταν και στις ειδησεις.Το Facebook θα αρχισει να αλλαζει λογου τις αλλαγες του καινουριο του προφιλ…Αν το αντιγραψεις στον τοιχο σου η εικονα σου θα γινει μπλε και το Facebook θα ειναι δωρεαν…Σας παρακαλω διαδωστε αυτο το μηνημα αλλιως ο λογαριασμος σας θα διαγραφει αν δεν πληρωσετε! Φυσικά πρόκειται περι ενός ακόμη ανυπόστατου chain-letter που ήρθε με χρονοκαθυστέρηση στην Ελλάδα. Η αρχή έγινε με κάποιο spam mail , μετά δημιουργήθηκε ένα δήθεν group στο facebook που υποτίθεται ότι θα προασπιζόταν το δικαίωμα στην μη πληρωμή κ.ο.κ. among Facebook members and a number of «protest» Facebook groups decrying the supposed new charges have been established. our basic services. Once again, that question stems from people thinking we’re growing so quickly, we’re running out of money. We’re growing really quickly, but we can finance that growth. We’re not going to charge for our basic services. our ad business is working, and working quite well. its current ad-based business model and so therefore must start charging users is simply untrue. The various Facebook groups that have been established – ostensibly to register protest against the supposed upcoming charges – have attracted hundred of thousands of members. One such group, entitled «NO, I WILL NOT PAY £3.99 A MONTH TO USE FACE BOOK FROM JULY 9TH 2010!» had a membership of well over 600,000 at the time of writing. The amount of the supposed monthly fee suggested in these groups tend to vary considerably as does the date on which the charge will supposedly be implemented. Regardless of the details, all such groups are perpetrating misinformation and joining them is therefore utterly pointless. Many of the groups falsely claim that Facebook has officially announced its intention to begin charging. Others make the absurd and equally false claim that the company has agreed to shelve plans to implement a charge on the condition that the group gains a specified number of members. A few of the people who started such groups may have done so because of a genuine, if unfounded, belief that the charging rumours were true. However, it appears that many others are motivated by nothing more than a callous and calculated desire to create a Facebook group with a very large membership. A large membership group might provide the group owner with increased online status or exposure, at least in his or her own opinion. They might also be used for more sinister purposes such as spamming or malware distribution. At least one of the protest groups I have seen – again with a membership in the hundreds of thousands – peppered the group page with large numbers of advertising links to third party websites. Another, which supposedly protested against a plan to charge users $14.99 per month, featured links to a bogus website that contained dangerous malware. Both these groups, and a number of the other «protest» groups, have now been closed down. Still, some remain active and it is likely that still more will be created in coming weeks. versions of their online services with varying degrees of success. Thus, it is conceivable that, by using the qualifier, Facebook is leaving the door open for the implementation of such a «premium» service at some point in the future. But, there is no credible evidence to suggest that the company has any current plans to implement such a service, and, if it ever does, Facebook users would certainly be informed via official announcements and promotions. 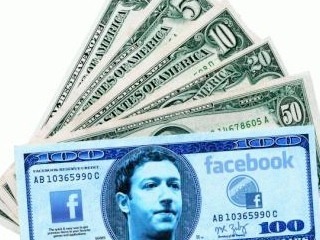 Moreover, even in the quite unlikely event that Facebook performed an unexpected about face and DID impose a monthly fee for its basic services, you can rest assured that current members would be notified well in advance via official company communication channels not via vague and unconfirmed rumours. 1 Response to Χρεώσεις στο facebook?